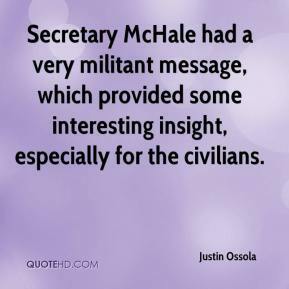 Secretary McHale had a very militant message, which provided some interesting insight, especially for the civilians. It's ironic that Hillary's press secretary would call for more government intrusion into our lives while bashing my book. Who needs parents when you've got bureaucrats in the Department of Education taking care of our kids? 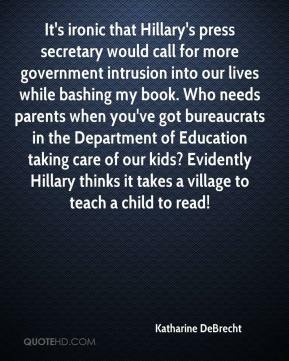 Evidently Hillary thinks it takes a village to teach a child to read! 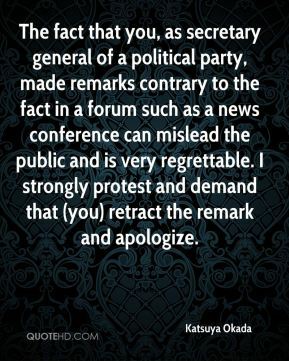 The fact that you, as secretary general of a political party, made remarks contrary to the fact in a forum such as a news conference can mislead the public and is very regrettable. I strongly protest and demand that (you) retract the remark and apologize. 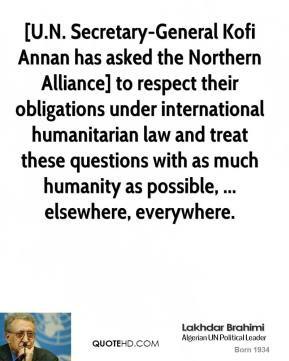 [U.N. Secretary-General Kofi Annan has asked the Northern Alliance] to respect their obligations under international humanitarian law and treat these questions with as much humanity as possible, ... elsewhere, everywhere. The president herself and Foreign Affairs Secretary Alberto Romulo have always supported the ASEAN endorsement of Dr. Surakiart. 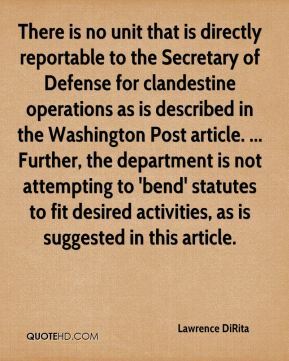 There is no unit that is directly reportable to the Secretary of Defense for clandestine operations as is described in the Washington Post article. ... Further, the department is not attempting to 'bend' statutes to fit desired activities, as is suggested in this article. 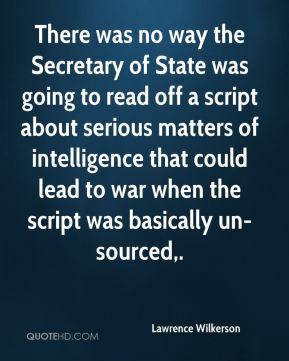 There was no way the Secretary of State was going to read off a script about serious matters of intelligence that could lead to war when the script was basically un-sourced. 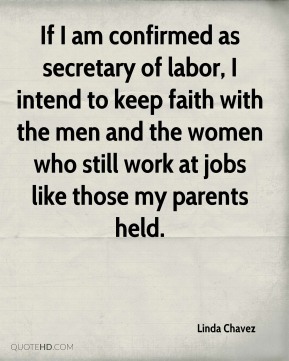 If I am confirmed as secretary of labor, I intend to keep faith with the men and the women who still work at jobs like those my parents held. 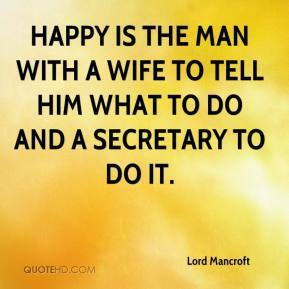 My character is the sleazy secretary. It was a real struggle at first. Julia had to help me out. 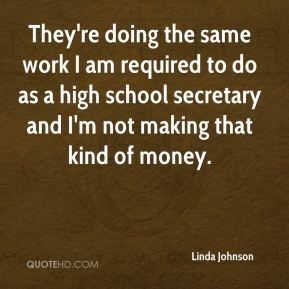 They're doing the same work I am required to do as a high school secretary and I'm not making that kind of money. 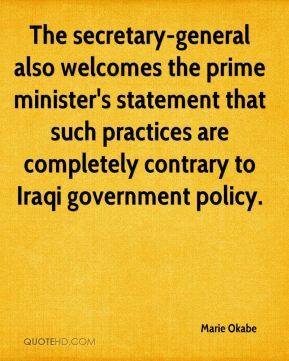 The secretary-general also welcomes the prime minister's statement that such practices are completely contrary to Iraqi government policy. 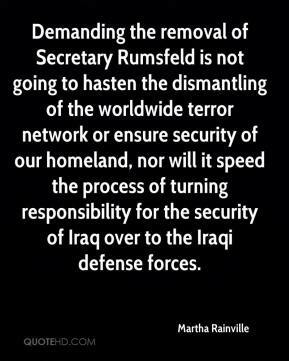 Demanding the removal of Secretary Rumsfeld is not going to hasten the dismantling of the worldwide terror network or ensure security of our homeland, nor will it speed the process of turning responsibility for the security of Iraq over to the Iraqi defense forces. 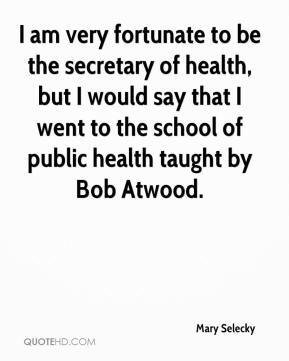 I am very fortunate to be the secretary of health, but I would say that I went to the school of public health taught by Bob Atwood. 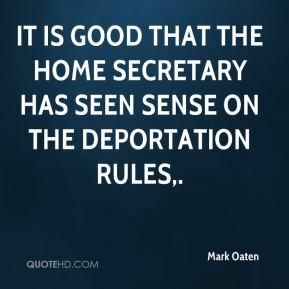 It is good that the home secretary has seen sense on the deportation rules. 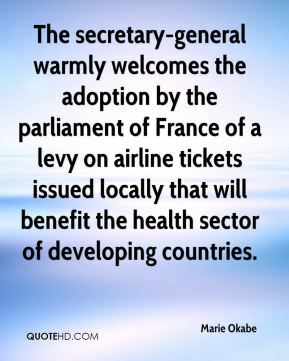 The secretary-general warmly welcomes the adoption by the parliament of France of a levy on airline tickets issued locally that will benefit the health sector of developing countries. 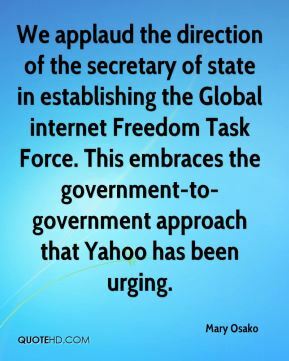 We applaud the direction of the secretary of state in establishing the Global internet Freedom Task Force. This embraces the government-to-government approach that Yahoo has been urging. People have to be accountable for their records, and what they did early in their careers is informative. 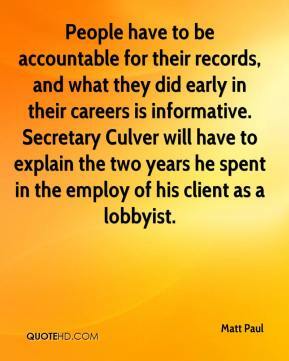 Secretary Culver will have to explain the two years he spent in the employ of his client as a lobbyist. 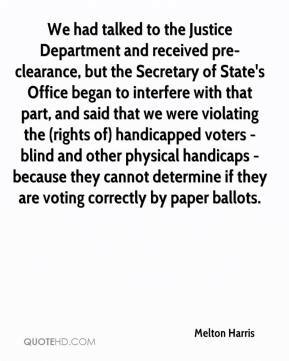 We had talked to the Justice Department and received pre-clearance, but the Secretary of State's Office began to interfere with that part, and said that we were violating the (rights of) handicapped voters - blind and other physical handicaps - because they cannot determine if they are voting correctly by paper ballots. 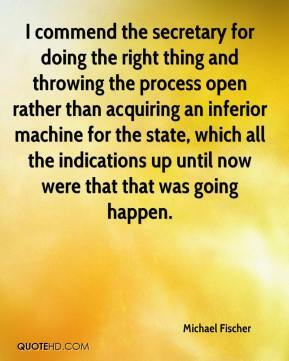 I commend the secretary for doing the right thing and throwing the process open rather than acquiring an inferior machine for the state, which all the indications up until now were that that was going happen. The real interested party is the Republican Party of Texas. 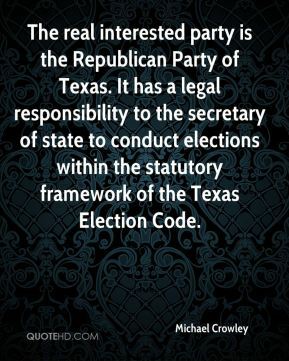 It has a legal responsibility to the secretary of state to conduct elections within the statutory framework of the Texas Election Code. 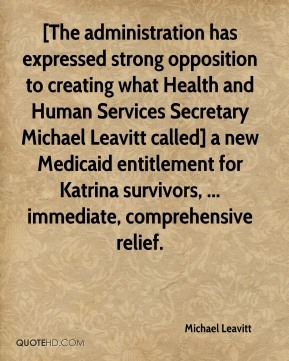 [The administration has expressed strong opposition to creating what Health and Human Services Secretary Michael Leavitt called] a new Medicaid entitlement for Katrina survivors, ... immediate, comprehensive relief. 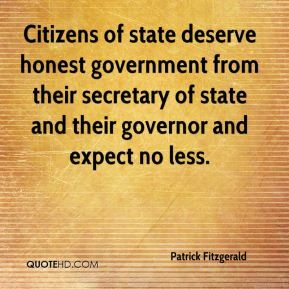 Citizens of state deserve honest government from their secretary of state and their governor and expect no less. 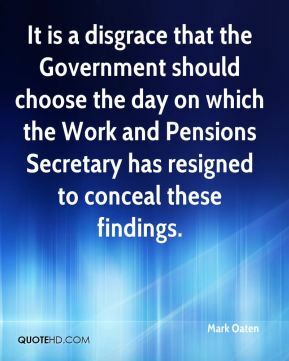 The secretary acknowledges unevenness in how these duties are handled, ... 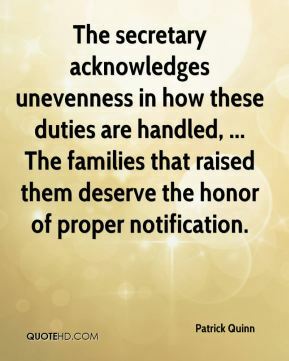 The families that raised them deserve the honor of proper notification.